Breaking Bad, "Fifty-One": the end for Walt and Skyler? Quick Take: Breaking Bad, "Fifty-One"
(S0504) For seasons, the Breaking Bad writers have built up Walter White (Bryan Cranston) into something of an unstoppable force. Again and again, in the face of impossible odds, he finds a way to triumph. Sometimes it's through dumb luck, sometimes through sheer determination, occasionally through brilliant planning. Regardless, he's still standing and his enemies have fallen -- although not before adjusting their tie. 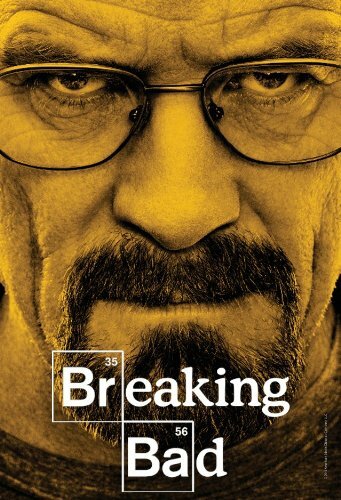 Walt's cluelessness combined with his unrivaled hubris have made him impervious to harm from low-level drug dealers, trained cartel hit men and even brilliant criminal masterminds. Victory after victory have left Walt feeling as indestructible as his Pontiac Aztek. (The "nine lives" wise-crack from the mechanic in the cold open was a great callback). In the wake of his victory over Gus (Giancarlo Esposito), Walt's delusions seem to know no bounds. He buys a new car as a birthday present to himself, then tops it off buy re-buying Walt Jr. (RJ Mitte) the sweet Charger that Skyler (Anna Gunn) forbid. His excuses: "We can afford it now" and the cars are leased. "Life is good," he tells Skylar. "There is absolutely nothing for for you to be afraid of anymore." But clearly Sky is more terrified than ever. And who can blame her? I've heard critics complain that Skyler's journey from pseudo-accomplice to virtual hostage in her in own home has been rushed. I can see their point, but I have to disagree. It's one thing to be complicit in money laundering, its another thing entirely to knowingly share a bed with a man who blew up a nursing home. To make matters worse, Walt seems to have no idea the extent his actions affect his wife. "I had no idea she was taking it this hard," Walt tells Hank (Dean Norris). Their conversation is about the White's martial woes, but its clear Walt is referring to something different entirely. Skyler's stuck between a rock and a hard place. She know's her husband is capable of murder, so she dare not send Walter Jr. to boarding school without Walt's permission. Obviously, baby Holly can't join the Peace Corps. Sure, Walter Jr. and Holly can sleep-over at their aunt and uncle's house for a couple of days, but that's not a a permanent solution. She can't go to the police because of her involvement in the car wash and Ted's "accident." She can't pretend to hurt herself to keep the kids out of the house and away from Walt. He'd simply have her committed and get custody of the kids. "How are you going to save our kids from this terrible environment?" Walt asks, after successfully shooting down all of her plans to keep the criminal element out of there home. Skyler admits to not having any of Walt's "magic", but she does have the luxury of one thing: time. Even though the "c-word" is almost never uttered on Breaking Bad, the guillotine of cancer hangs over Walt's every second of the day. He might be able to outsmart, outgun, outmaneuver everyone in his path. But there's no outrunning cancer. And cancer might be Skyler's one chance to escape the inevitable crash of the house cards Walt has built. 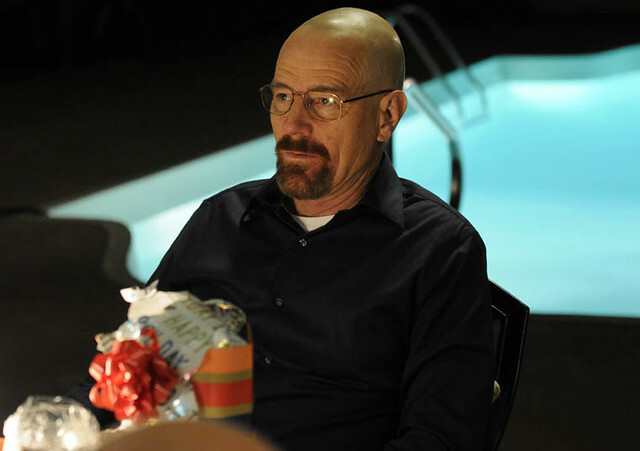 At the very end of the episode, Walt shows Skyler a watch Jesse (Aaron Paul) bought him for his birthday. He tells her the man who bought him this watch wanted to kill him very recently as well. The implication is that Skyler will come around on Walt. I'm not buying it, there will be no reconciliation for the Whites. I don't think there is any coincidence that Skyler is smoking a cigarette in this final scene. It's only a matter of time until Chekhov's ricin-cig rears its ugly head.